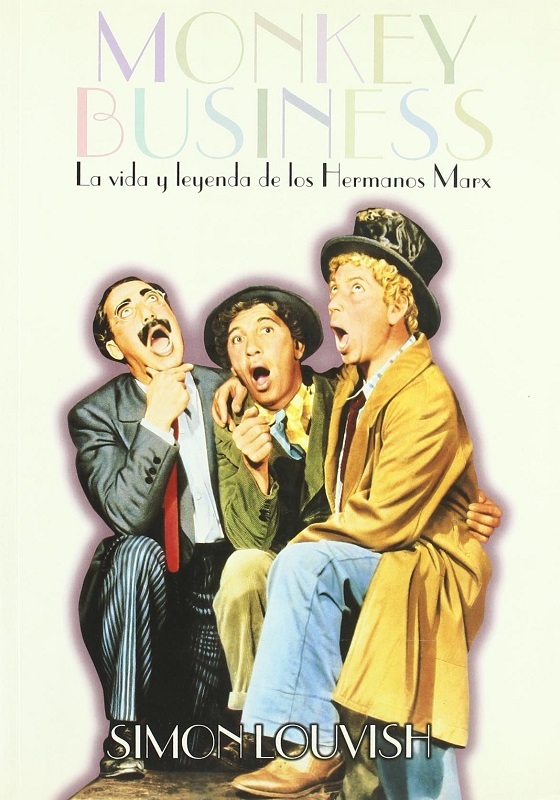 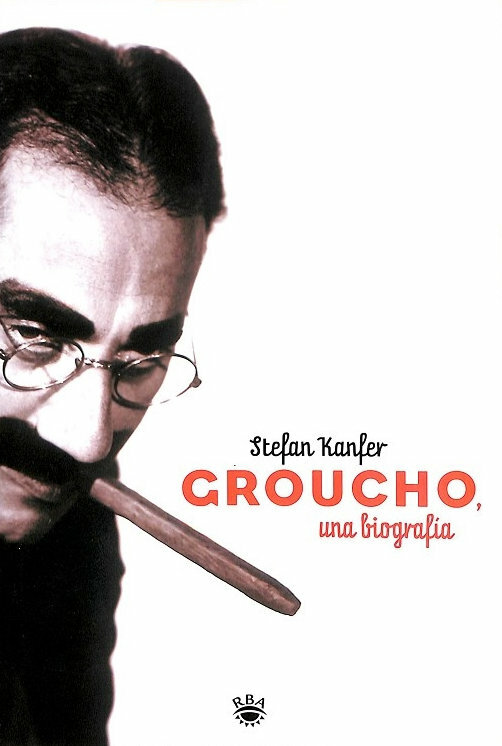 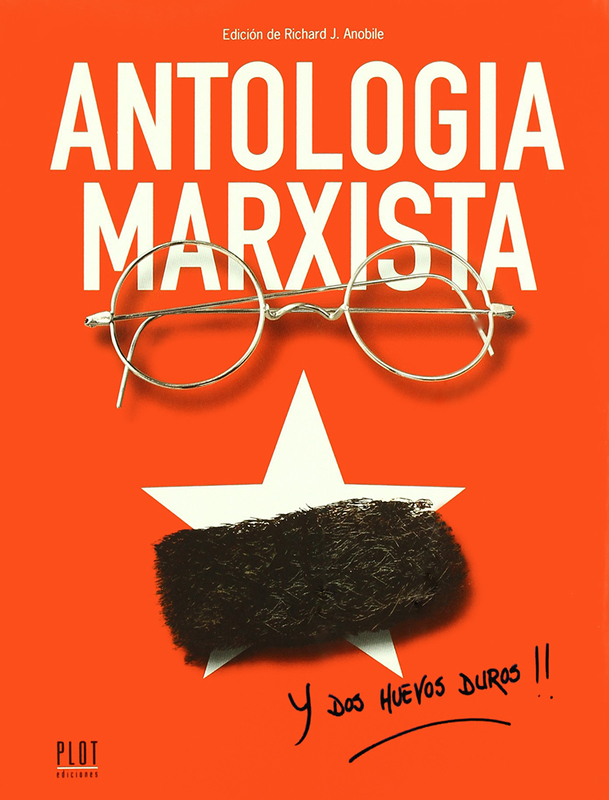 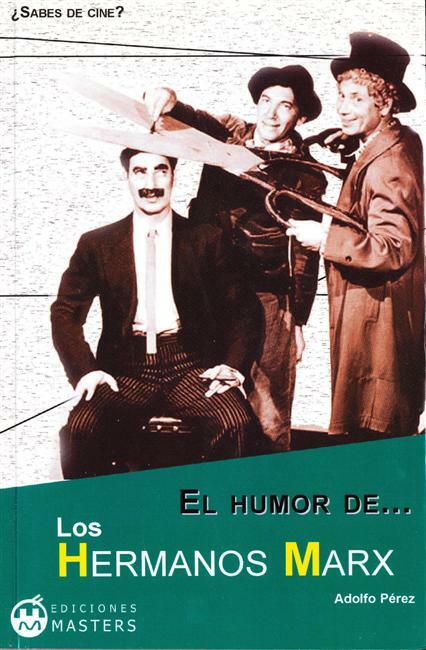 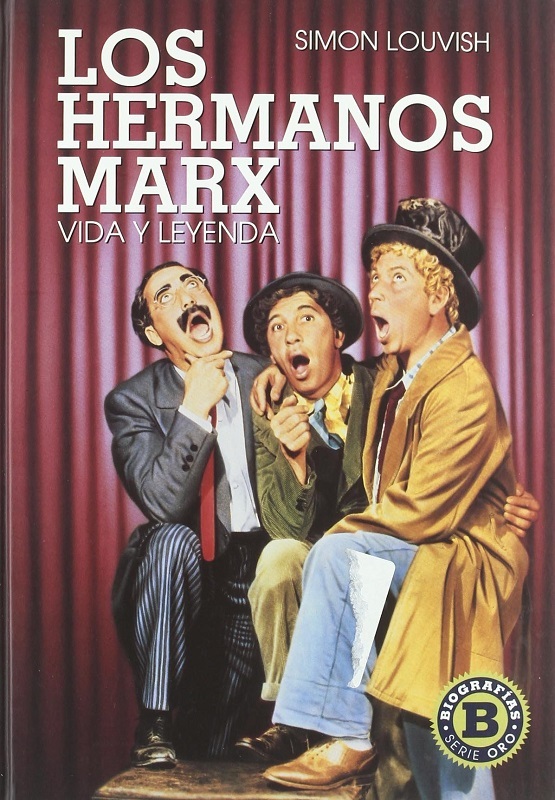 A kind of Spanish "Marx Brothers Encyclopedia". 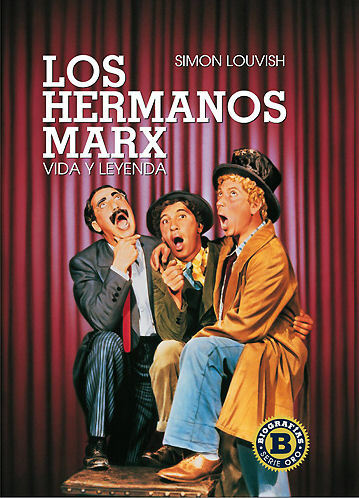 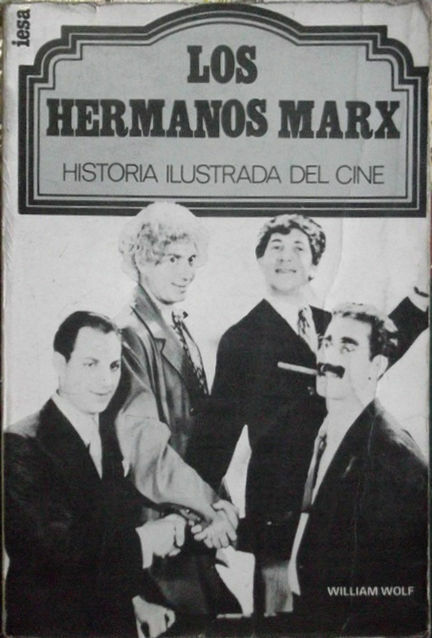 Description translated from Spanish: "A select group of critics and film scholars give their view of the Marx Brothers' career." 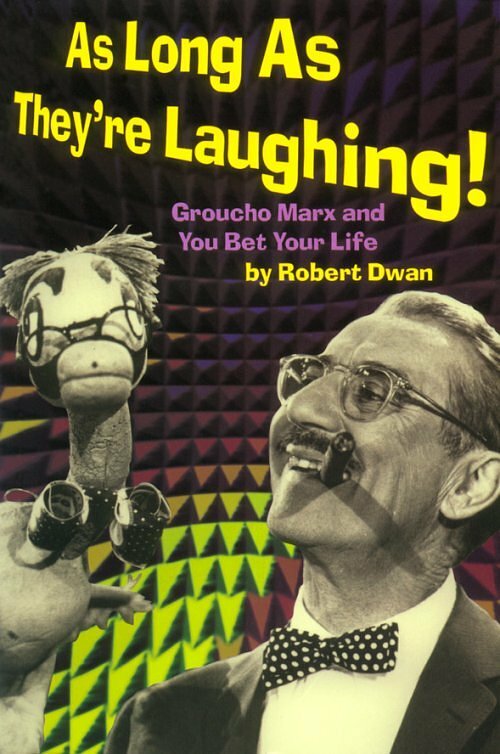 Anobile, Richard J.: Hooray for Captain Spaulding! 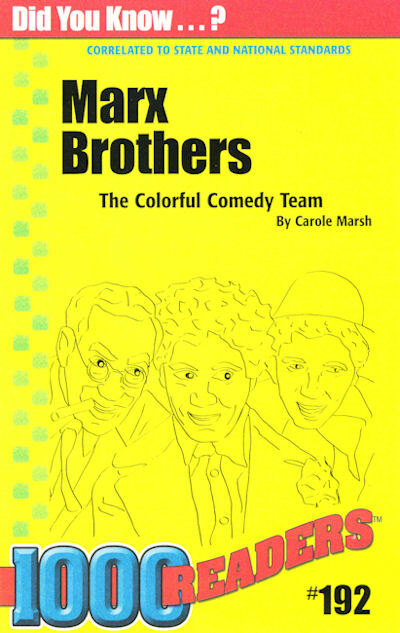 Verbal and Visual Gems from "Animal Crackers"
From the publisher: "Before film made them international comedy legends, the Marx Brothers developed their comic skills on stage for twenty-five years. 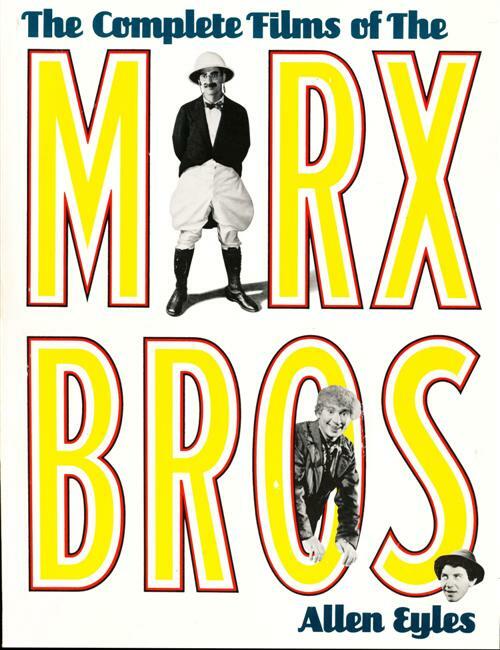 In Four of the Three Musketeers: The Marx Brothers on Stage, Robert S. Bader offers the first comprehensive history of the foursome's hardscrabble early years honing their act in front of live audiences. 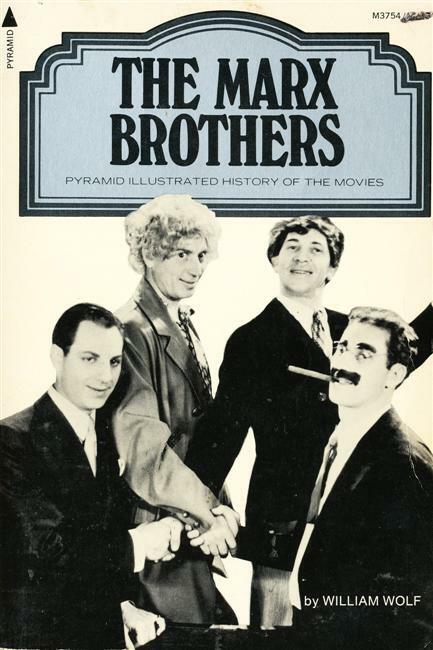 From Groucho's debut in 1905 to their final live performances of scenes from A Night in Casablanca in 1945, the brothers' stage career shows how their characters and routines evolved before their arrival in Hollywood. 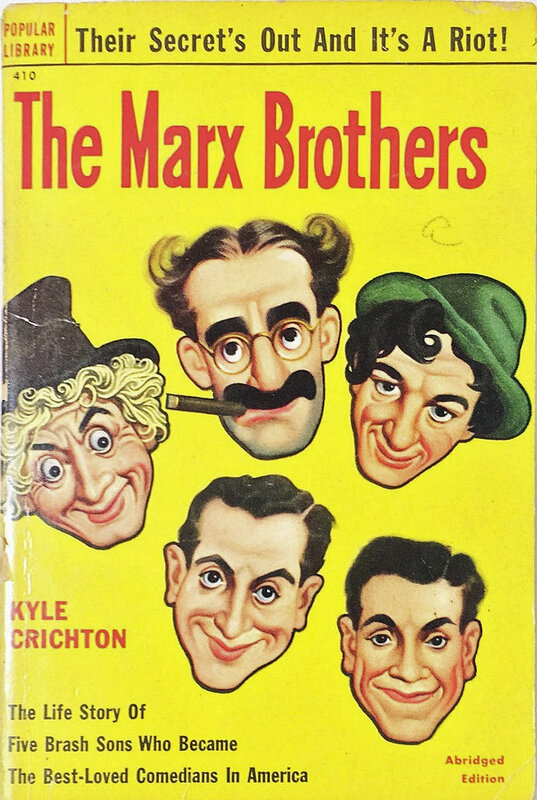 Four of the Three Musketeers draws on an unmatched array of sources, many not referenced elsewhere. 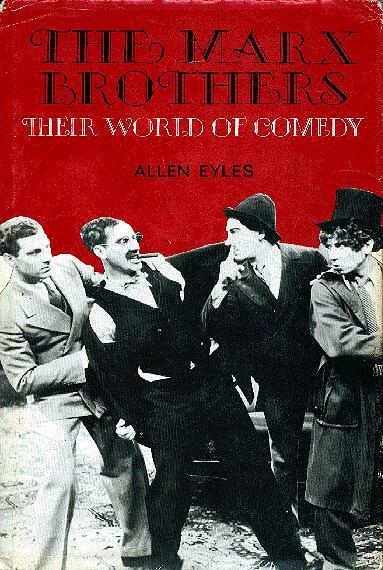 Bader's detailed portrait of the struggling young actors both brings to vivid life a typical night on the road for the Marx Brothers and also illuminates the inner workings of the vaudeville business, especially during its peak in the 1920s. 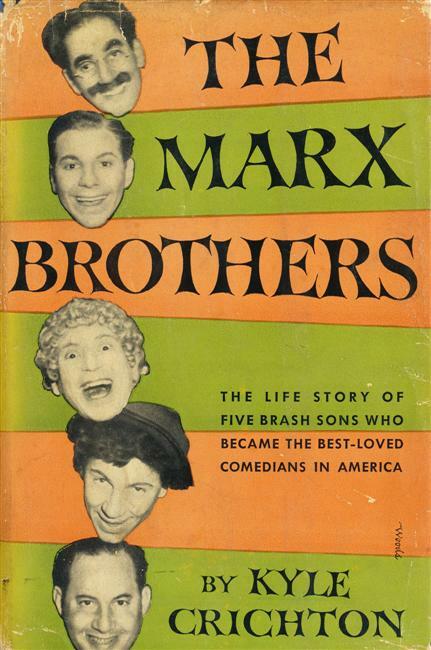 As Bader traces the origins of the characters that would later come to be beloved by filmgoers, he also skillfully scrapes away the accretion of rumors and mythology perpetuated not only by fans and writers but by the Marx Brothers themselves. 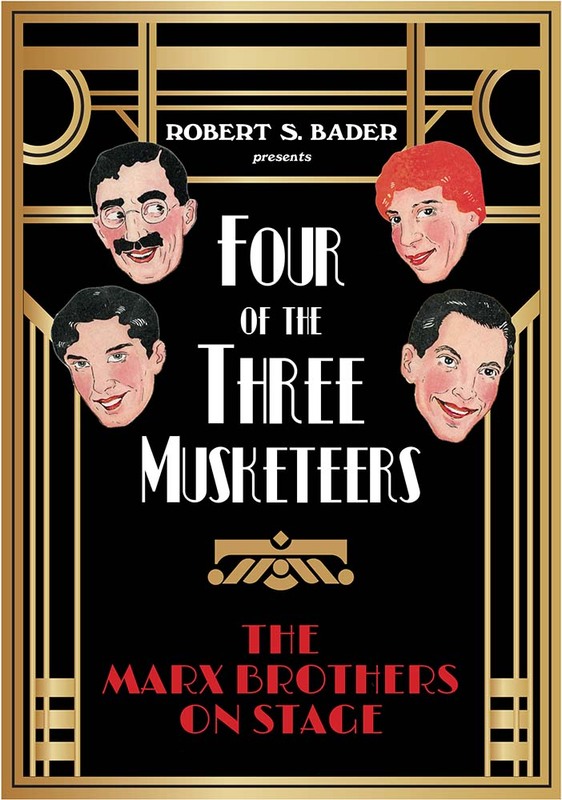 Revealing, vital, and entertaining, Four of the Three Musketeers will take its place as an essential reference for this iconic American act." 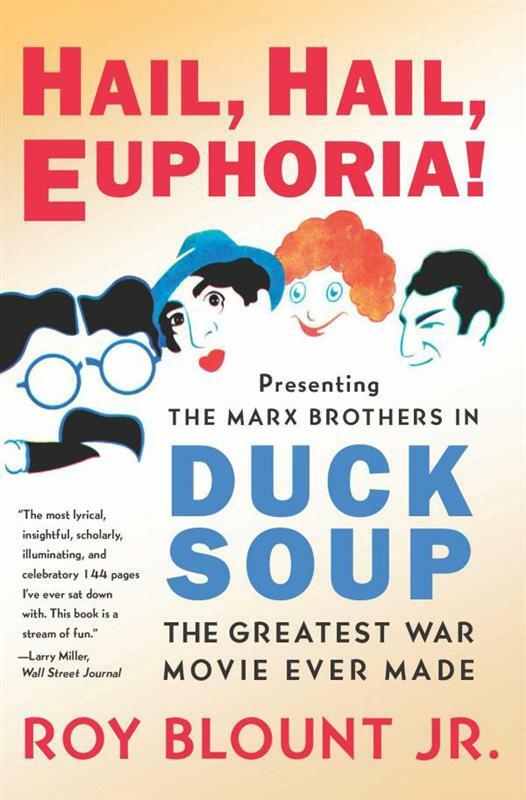 Blount Jr., Roy: Hail, Hail, Euphoria! 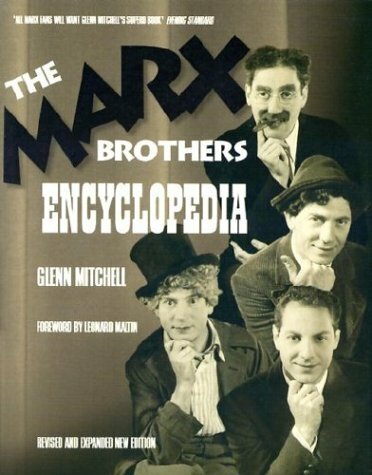 "Presenting the Marx Brothers in Duck Soup, the Greatest War Movie Ever Made"
This book provides a lot of background information about the movie, the people involved and the time when it was made. 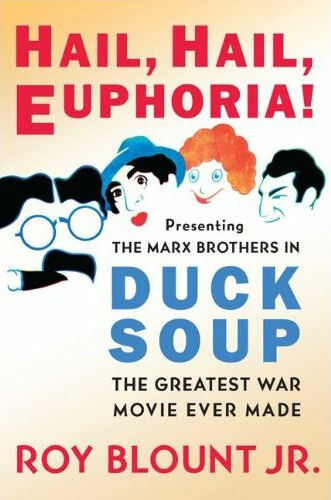 My main criticism would be that this background information sometimes goes too far — I don't want any speculations why there are more movies with mice than with ducks. 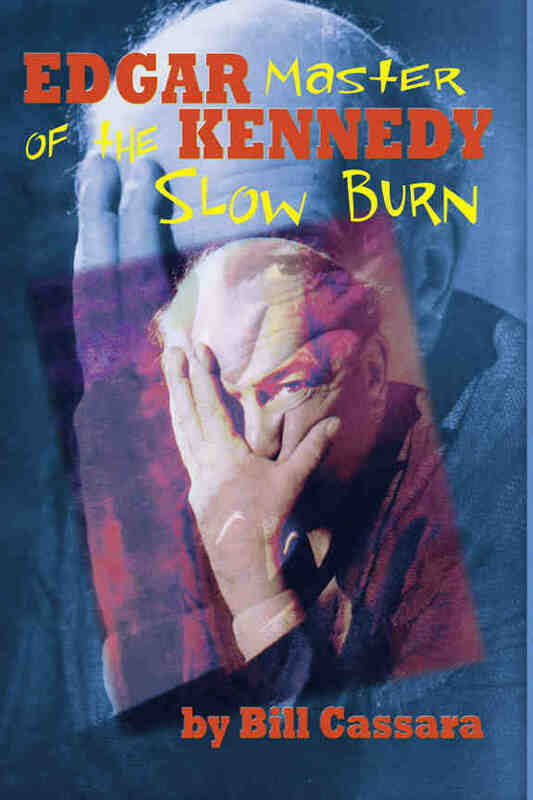 As the book goes along Blount stays more on topic and overall it is a good read. 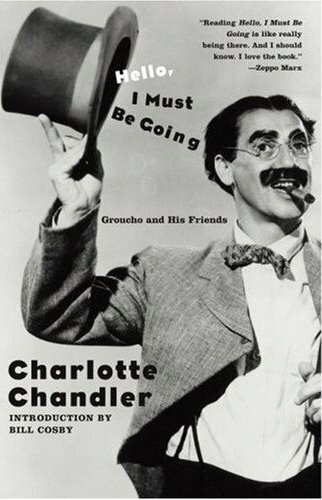 He has done his homework, although the book contains a few factual errors. 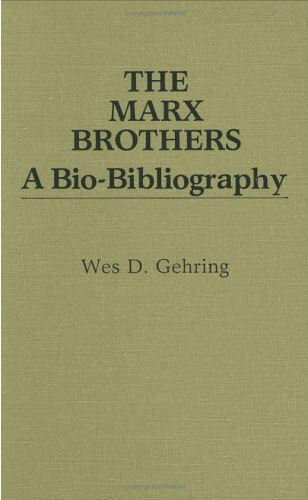 It would have been nice to have bibliography and index. 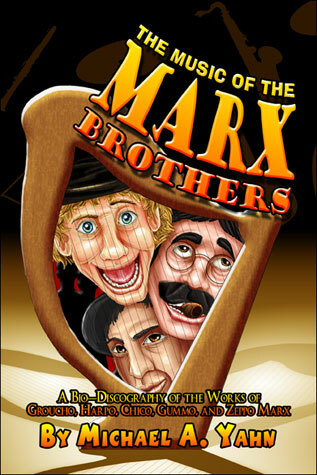 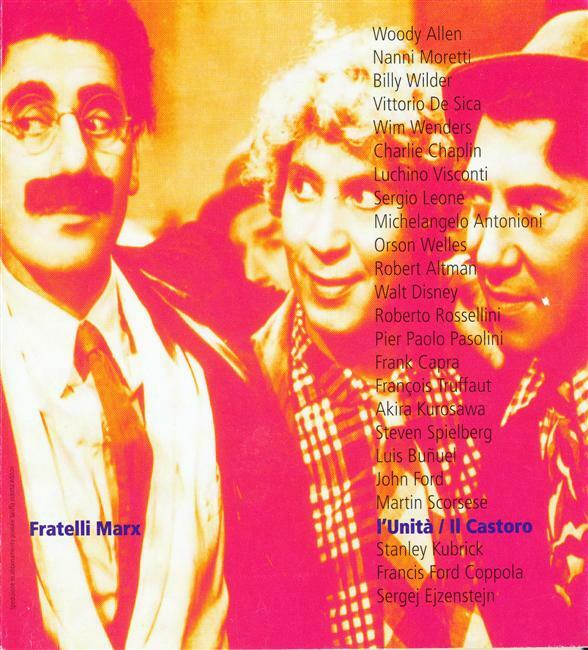 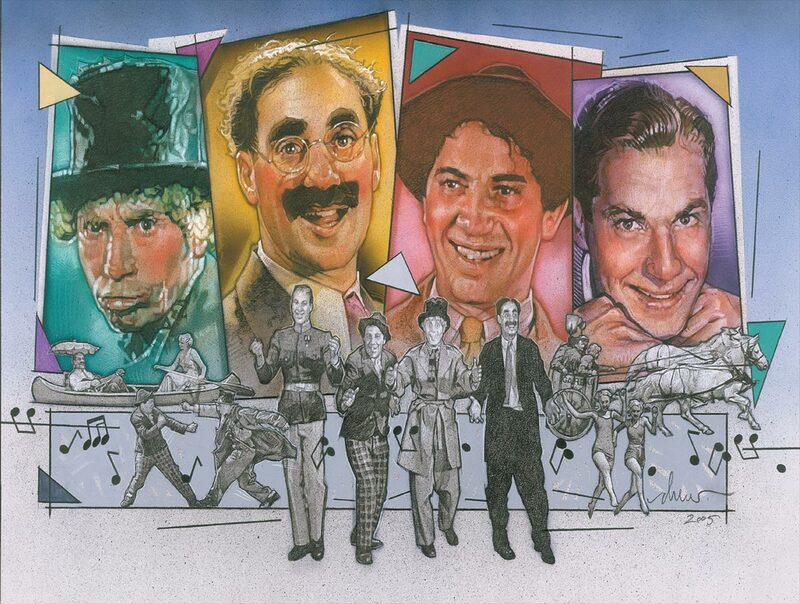 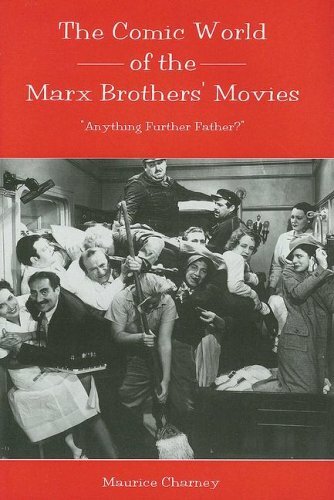 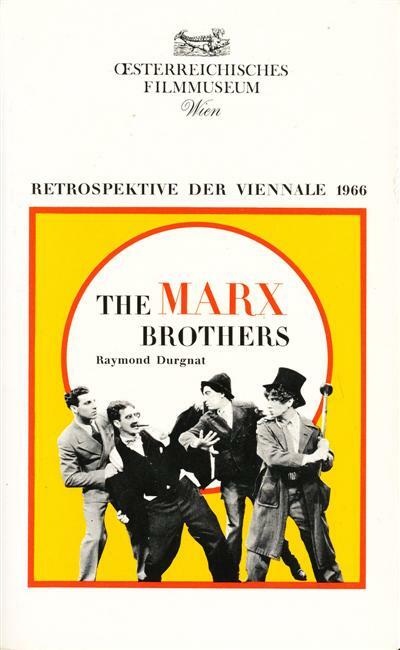 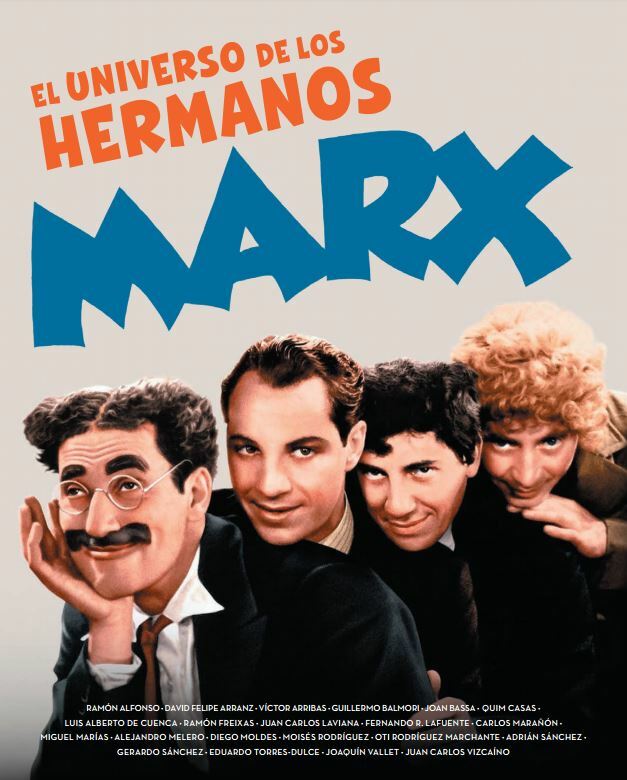 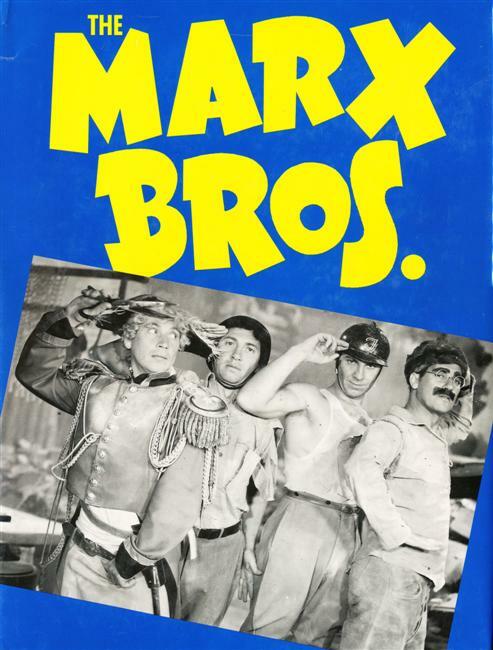 Charney, Maurice: The Comic World of the Marx Brothers' Movies: Anything Further Father? 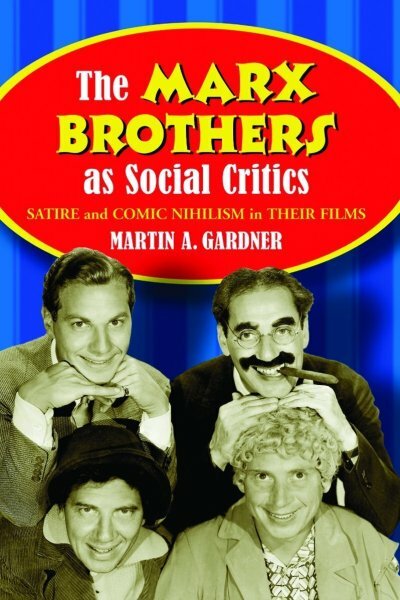 The publisher advertises this book as "filling an academic void", but others have been there before. 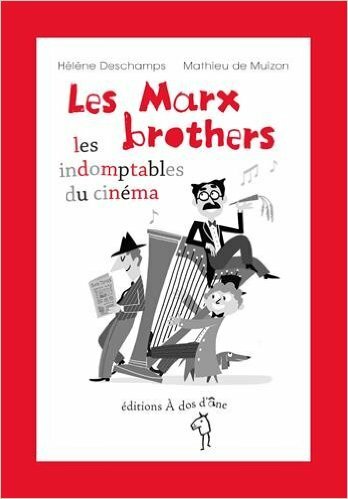 The most part of the book is taken up by giving synopsis of the movies. 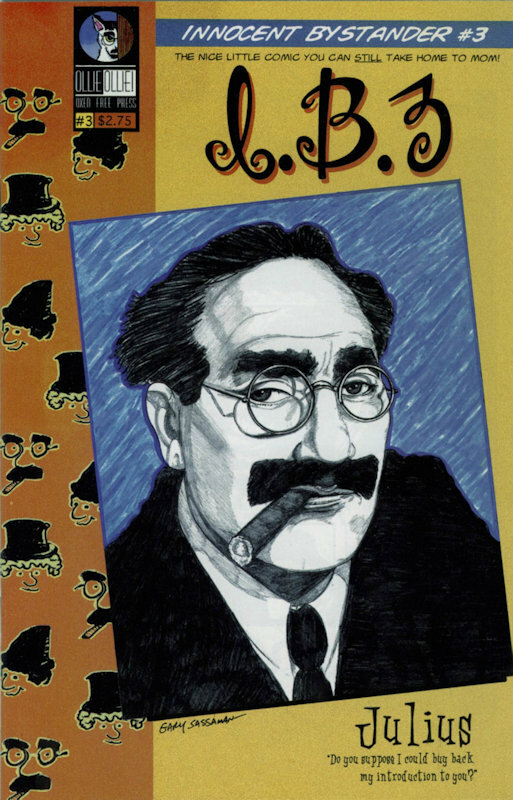 The author is looking at 15(!) 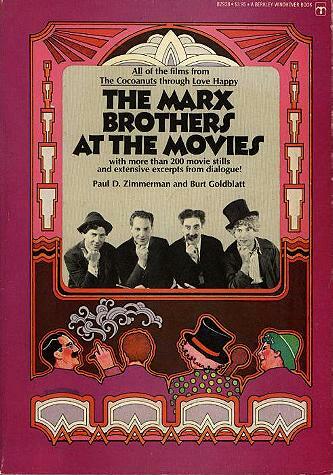 Marx Brothers movies by including "Copacabana" and "Double Dynamite". 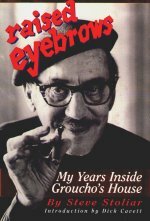 He claims to have not been able to get a copy of "A Girl in Every Port", which is easily available outside the US. 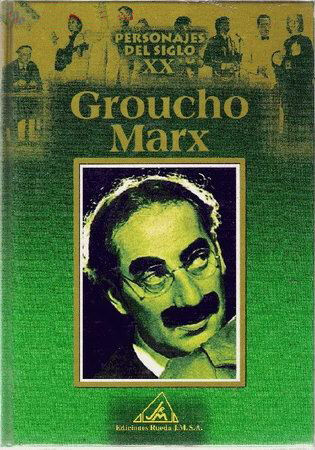 There are a few factual errors and typos and a lot of facts are repeated and some seem irrelevant. 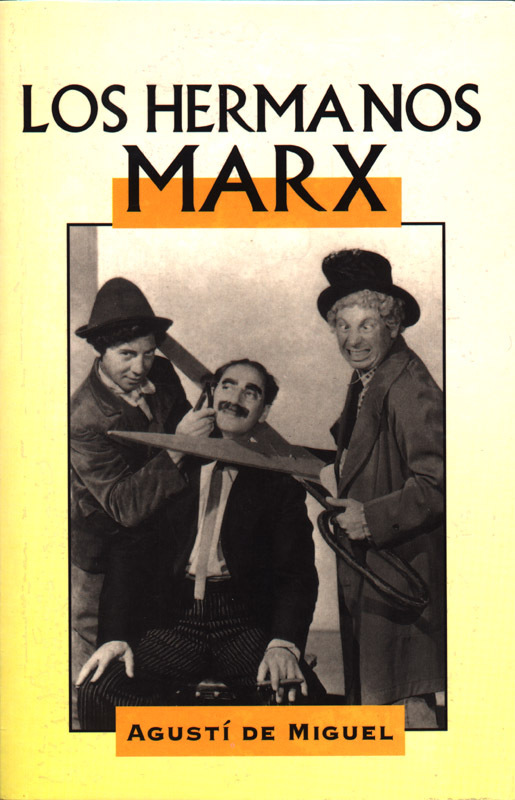 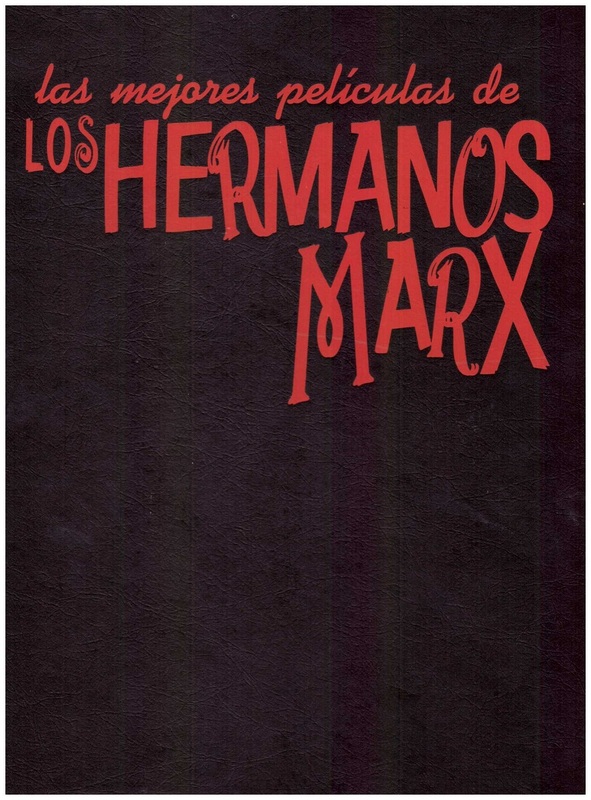 In general the author doesn't seems to be really interested in the Marx Brothers and the book doesn't add anything to an academic look at their work. 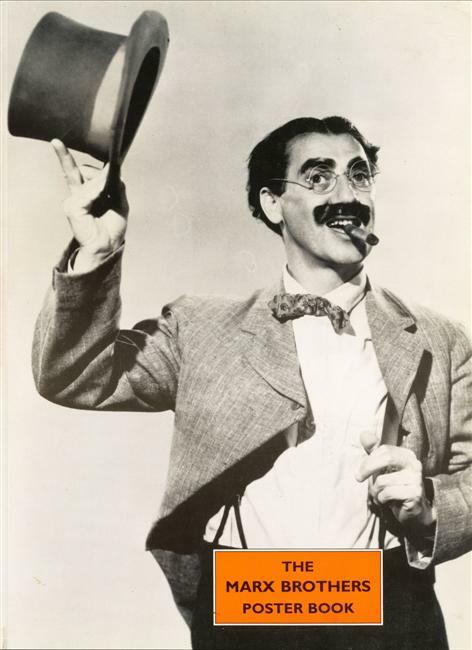 There are lots of scenes in the movies which we nowadays cannot fully understand because they refer to people or events who were well known at the time of filming. 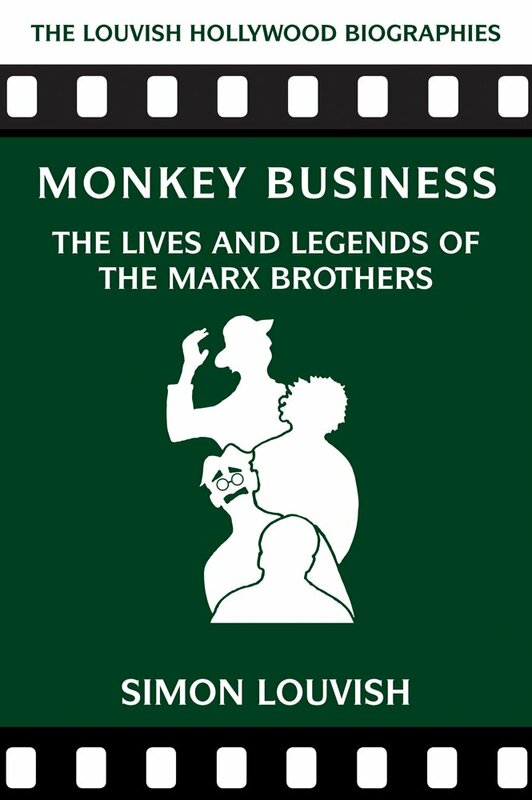 Matthew has put together a great collection of material which helps us to understand what is really going on. 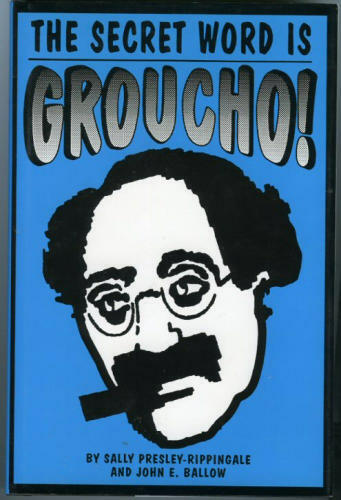 Coniam, Matthew: That's Me, Groucho! 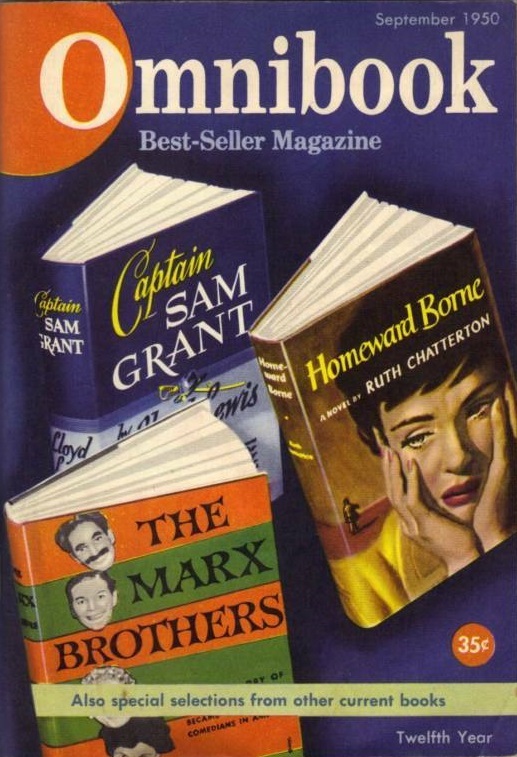 - Omnibook magazine, Sep 1950 / abridged version, together with Ruth Chatterton: "Homeward Borne" and Lloyd Lewis: "Captain Sam Grant"
Booklet for a retrospective at the Austrian Film Museum with an essay, filmography and film stills. 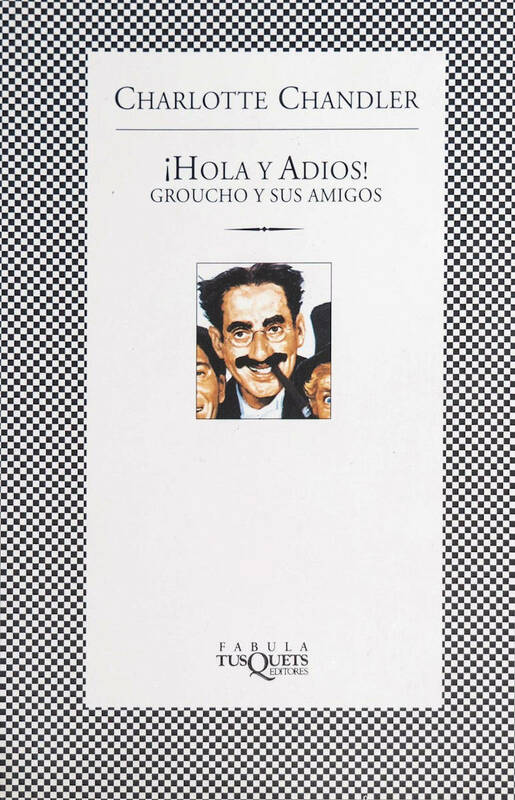 Translation from a manuscript in English, but it is unclear if the English version was also published. 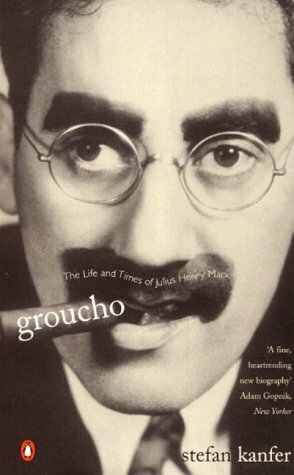 Publisher's Note: Robert Dwan (Director of You Bet Your Life), reminisces about You Bet Your Life and remarkable host Groucho Marx. 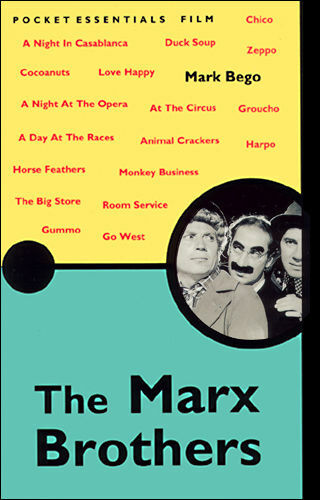 - Paperback Library (A Kinney Service Co), New York, NY, 1971, 1973 / #6 in an "International Film Guide Series"
From the publisher's website: "The author invites readers to spend time in the pleasure of Harpo's cinematic company while comparing him to tricksters from folklore, myth and legend. 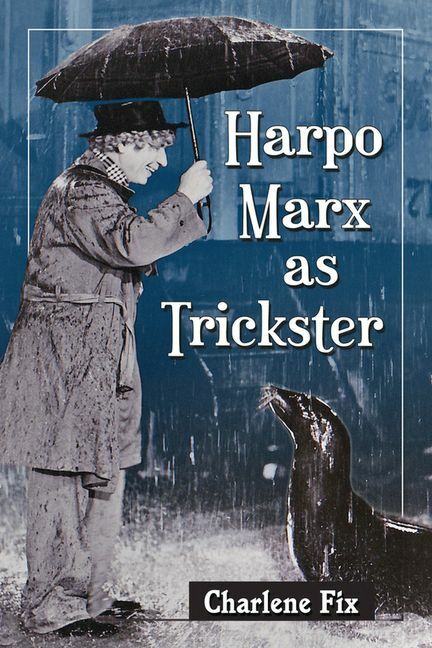 The book demonstrates how Harpo, the sweetest, wildest, most magical Marx brother, accomplishes the archetypal trickster's work. 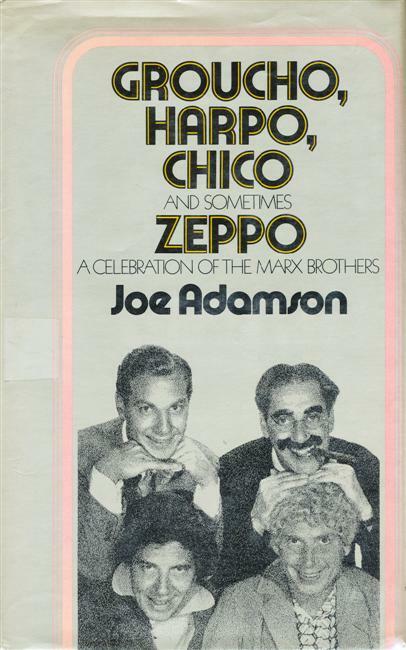 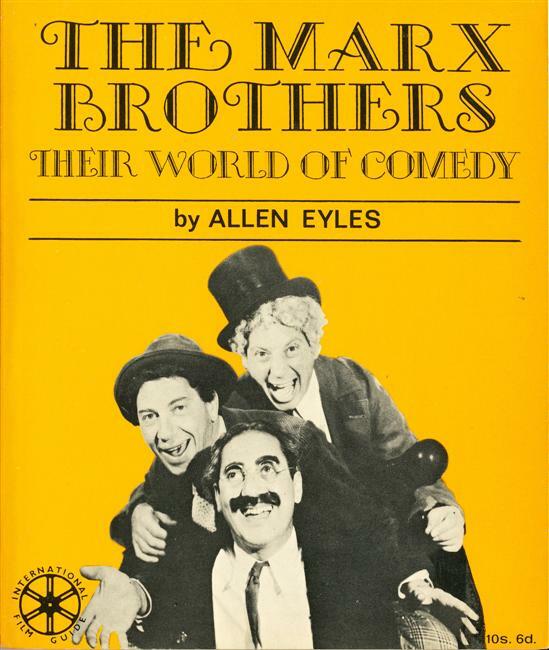 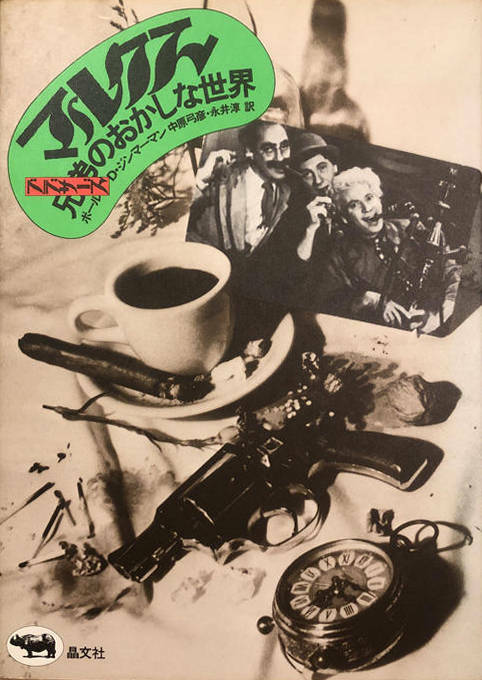 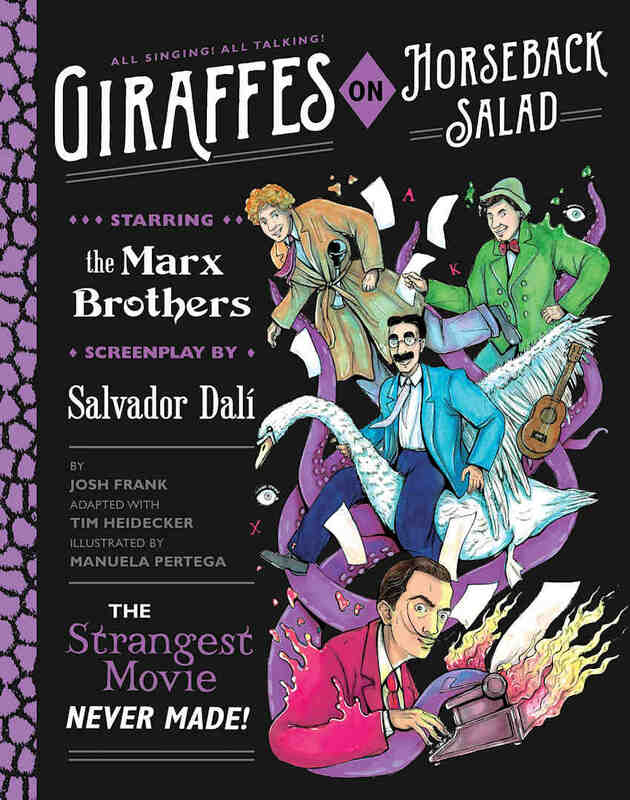 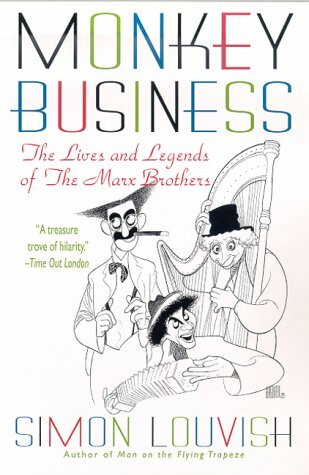 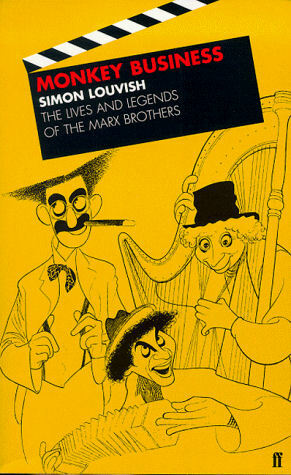 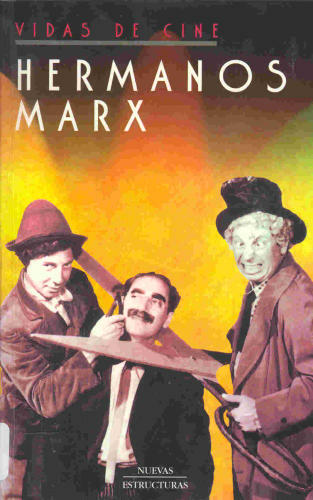 Thirteen chapters examine Harpo's trickster persona closely in each of the Marx Brothers' films"
From the publisher's website: "To many people, The Marx Brothers always seemed cartoonish. 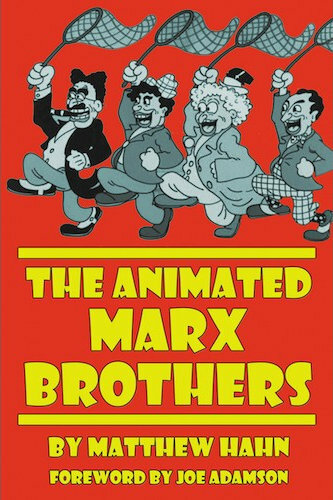 Small wonder that film animators [...] caricatured them in countless animated appearances in theatrical cartoons. 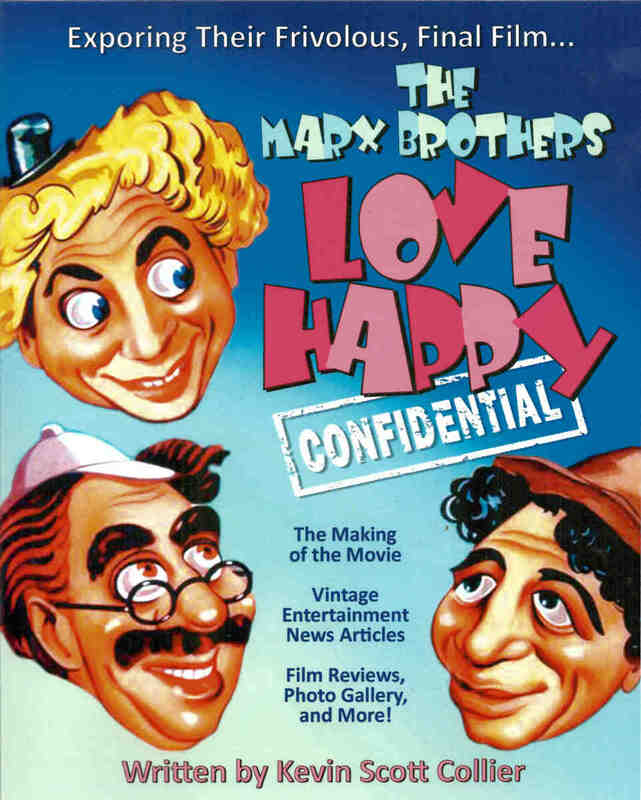 Their animated likenesses have since been wisecracking in television cartoons, direct-to-video movies, fan films, commercials, flip books, avatars, emoji, a slot machine, and two TV pilots so rare they were once thought not to exist. 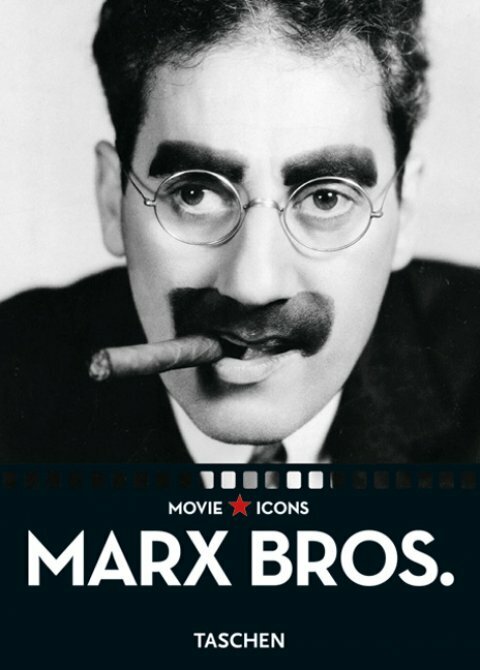 [...] Matthew Hahn's search for every animated appearance of a Marx brother has trailed longer than Groucho's coattails. 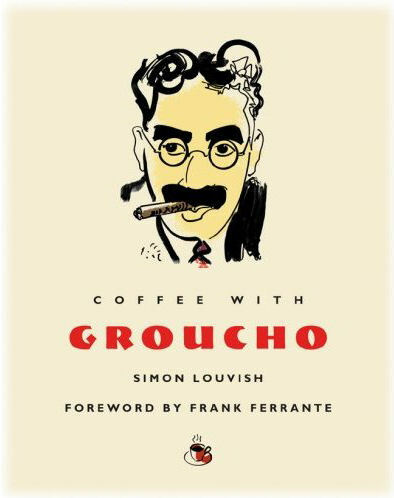 His discoveries include the backstories of the studios, moviemakers, and stars, rare test drawings from the Smithsonian Institution National Portrait Gallery, abandoned projects, connections, coincidences, and apocrypha." 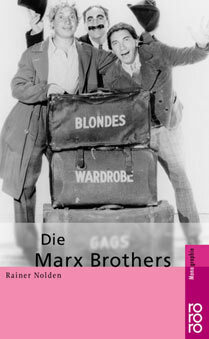 A (quite incomplete) biography, but has a well researched part about the Brothers German roots. 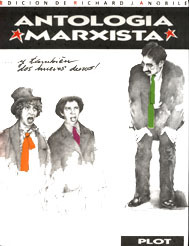 Tries to write in a funny language, but it doesn't always work out well. 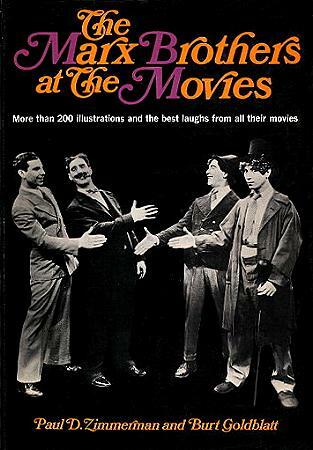 Apart from a short introductory note and a basic chronology and filmography, the main part of this book is a "Filmography in Pictures" with notes on the pictures and quotes from the movies or by people working on them. 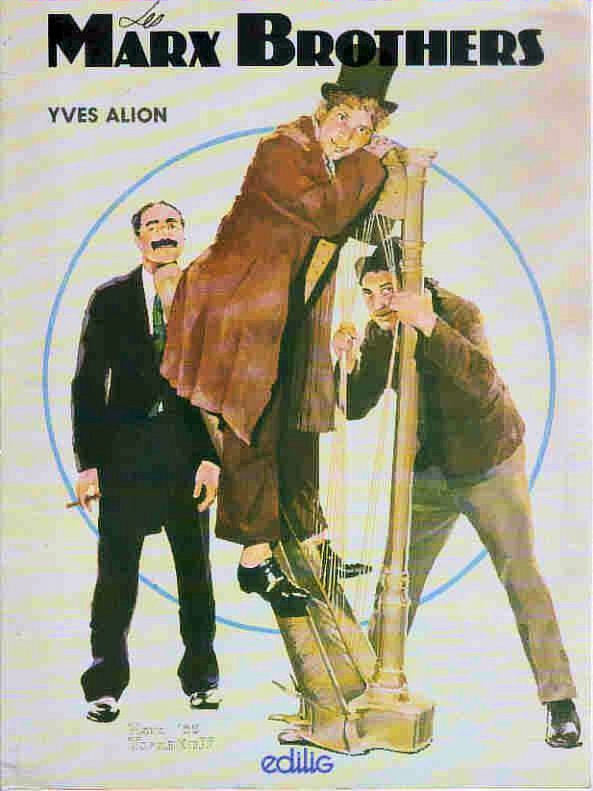 There are loads of film stills and promotional pictures, a few of which I cannot remember seeing anywhere else before. 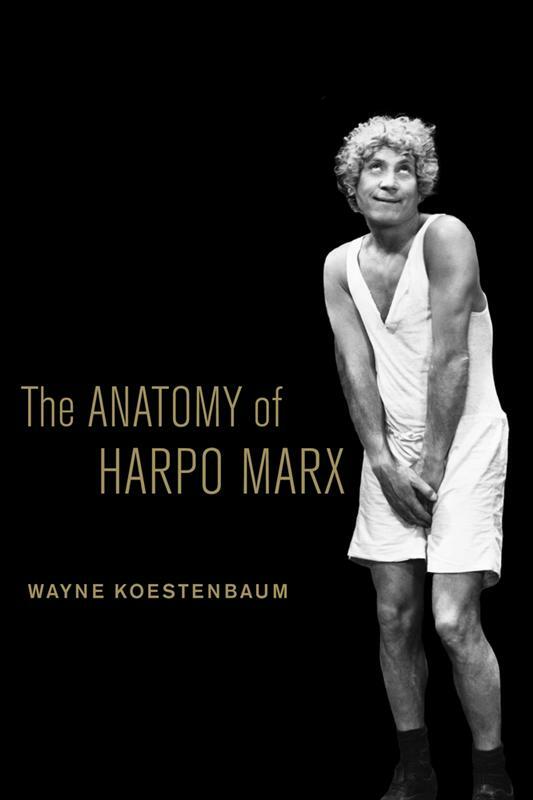 Described on the publisher's website as "a luxuriant, detailed play-by-play account of Harpo Marx's physical movements as captured on screen". 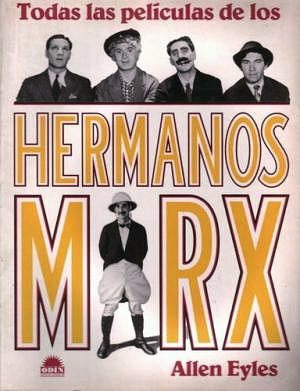 The author gives the best description of his book himself: "I will not seek [Bill Marx] out, lest he say: 'keep your fantasies away from my father's image'." 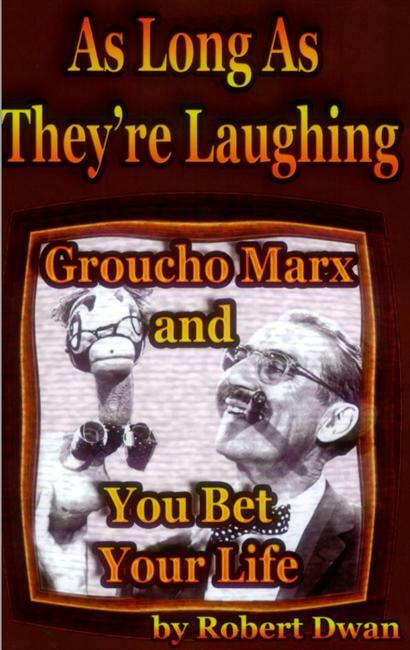 This really sums it up. 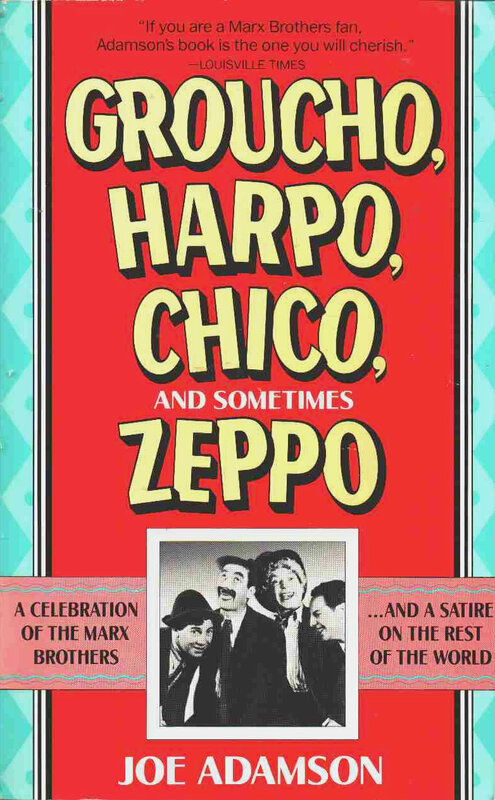 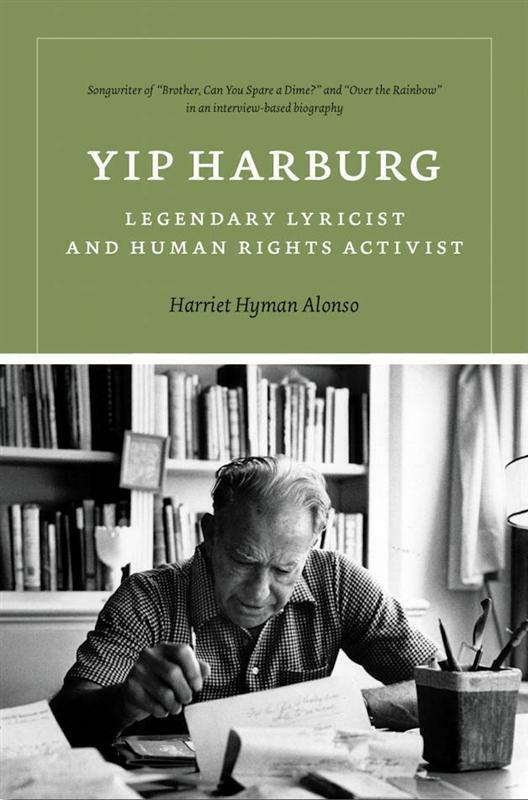 The book looks at Harpo's gestures and expressions and over-analyses them. 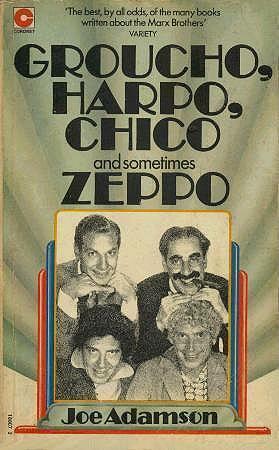 Koestenbaum shows off his knowledge of 20th century philosophy, but I don't think you can learn anything about Harpo. 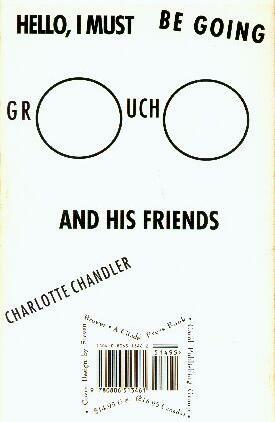 This review comes to a similar conclusion. 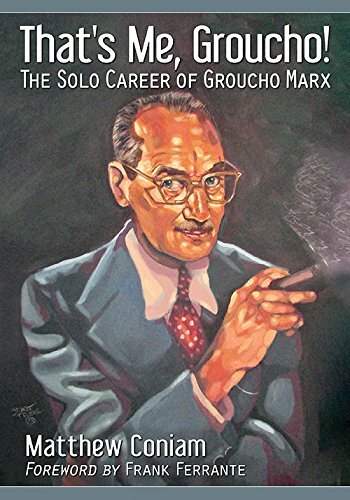 W. Gary Wetstein writes: "Koestenbaum is hermetically sealed in his own mind - as if he couldn't care less whether his readers have any clue what he's talking about. 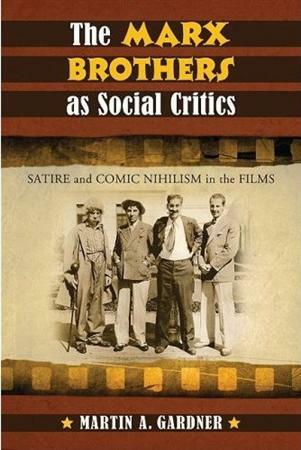 Worst of all is that Kostenbaum clearly has a brilliant mind, and a gift for language. 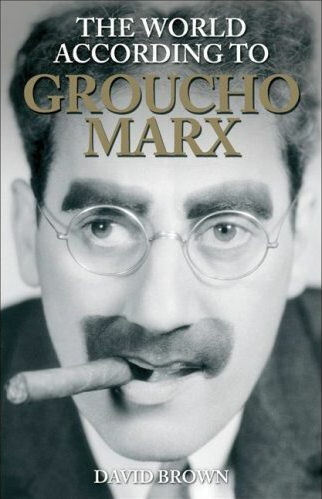 This book, however, really should not exist anywhere but on his own computer's hard drive, where he can use it to get himself off whenever he needs to. 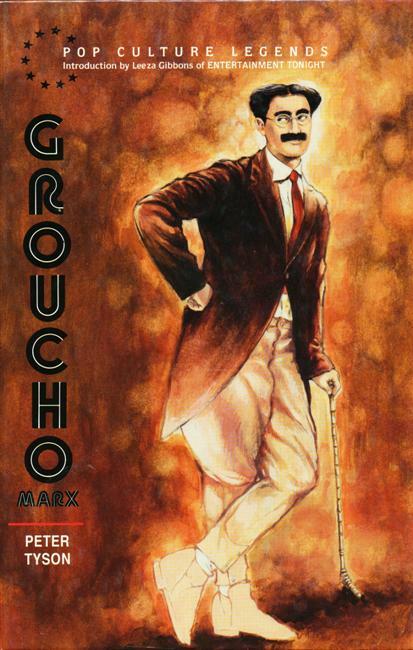 I wish he had left the rest of the world out of it." 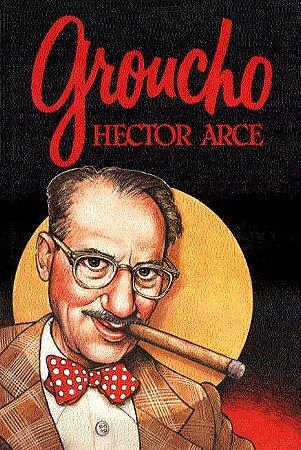 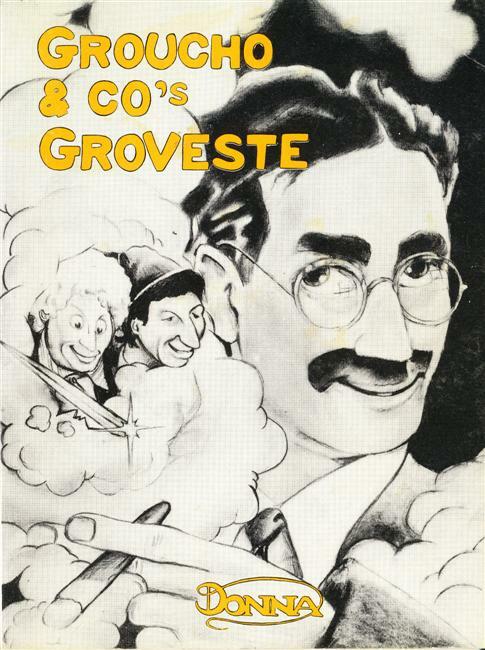 "A chronical of Groucho's radio and TV career. 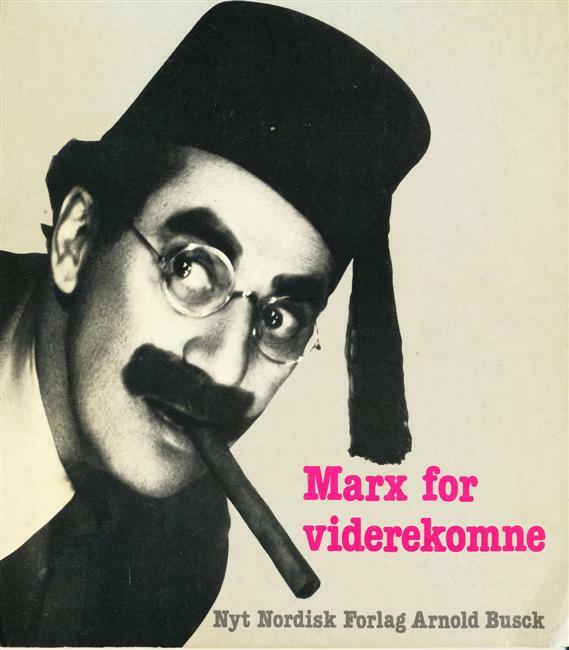 The title translates as 'Marx for Experts' " TFG. 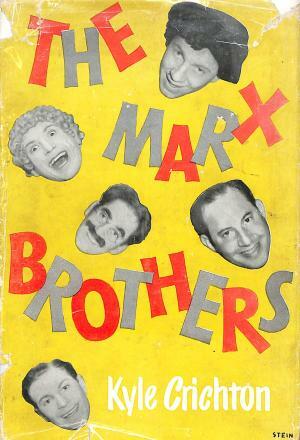 This book has 72 numbered pages, but the text continues on the inside back cover. 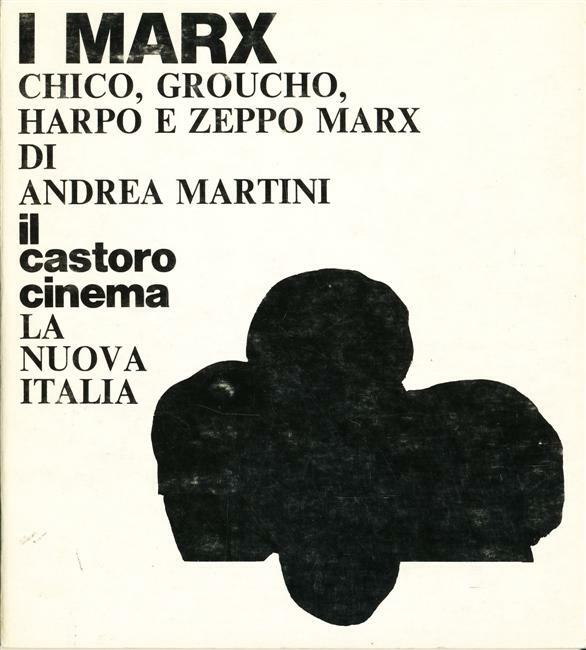 That text was missed in the second printing. 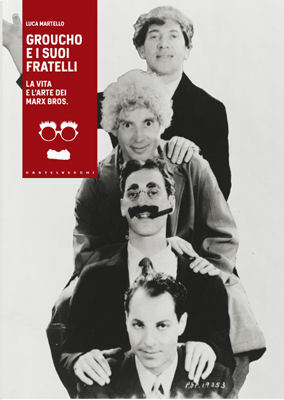 La vita e l'arte dei Marx Bros.
Metzner, Holger: Say, am I stewed or did a grapefruit just flew by? 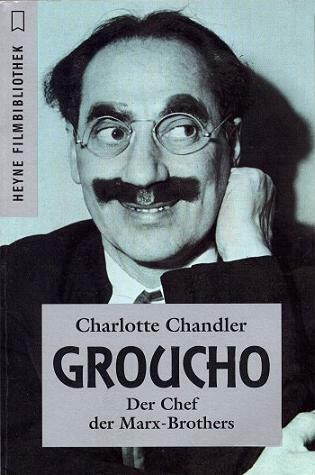 Abstract: "Eine hermeneutische Analyse einer der erfolgreichsten und gleichzeitig avantgardistischsten Comedy-Gruppen des 20. 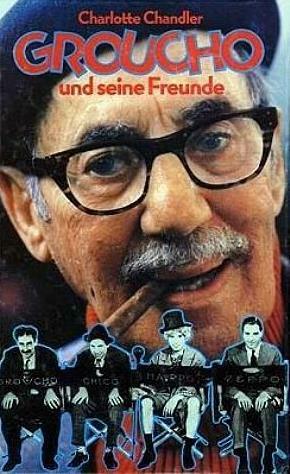 Jahrhunderts. 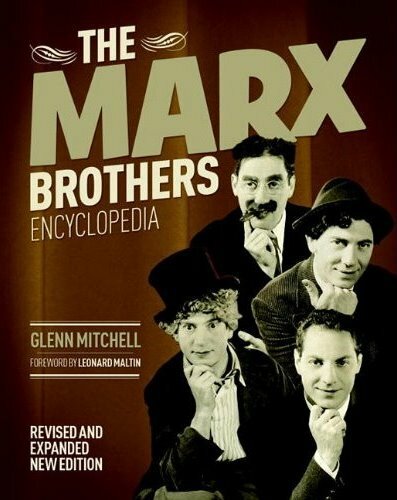 Die Marx-Brothers haben nicht nur ein Millionenpublikum unter einfachen amerikanischen Arbeitern gefunden, sondern auch Impulse für die bildende und darstellende Kunst Europas gegeben. 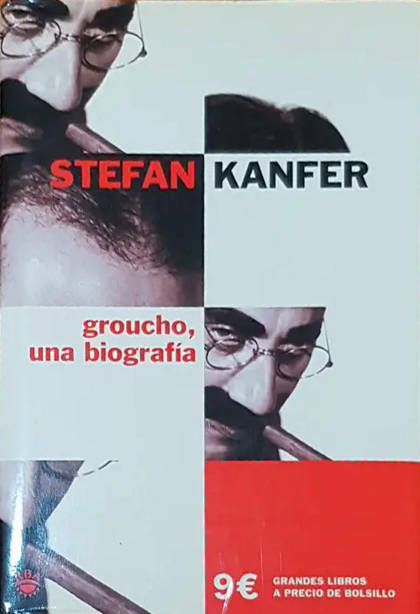 Die Ursache dieses Erfolges liegt wesentlich in ihrer Verwurzelung in den großen Krisen und Umbrüchen ihrer Zeit. 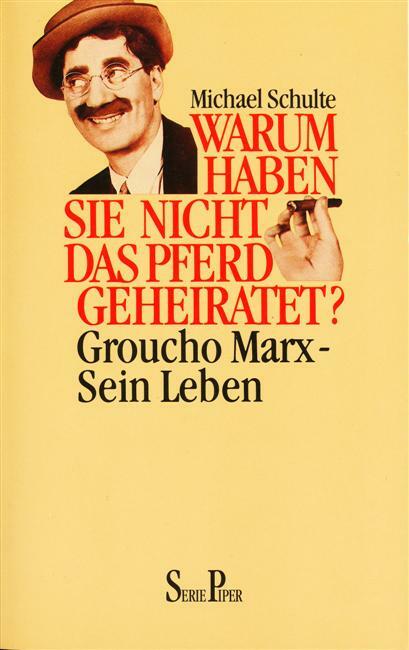 Die vorliegende Arbeit verfolgt den Zusammenhang zwischen komischem Ausdruck und lebensweltlicher Realität. 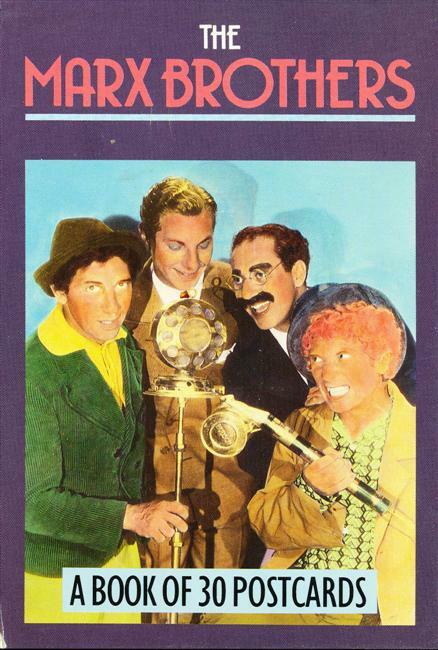 Groucho, Harpo und Chico - als festgelegte komische Figuren entstammen sie einer uralten Komödientradition. 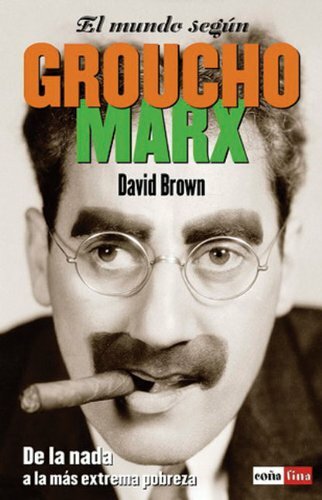 Dabei präsentieren alle drei eine jeweils verschiedene Lachkultur. 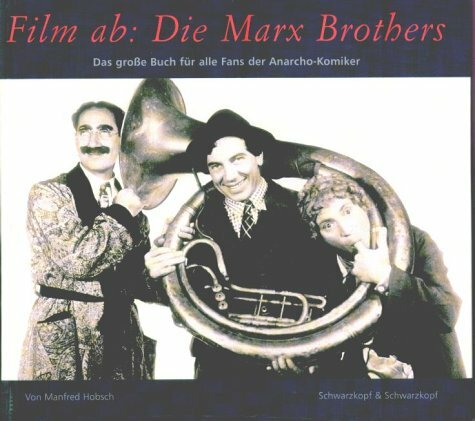 Im Vergleich dieser historischen Vorbilder mit der Realisierung durch die Marx-Brothers in der ersten Hälfte des 20. 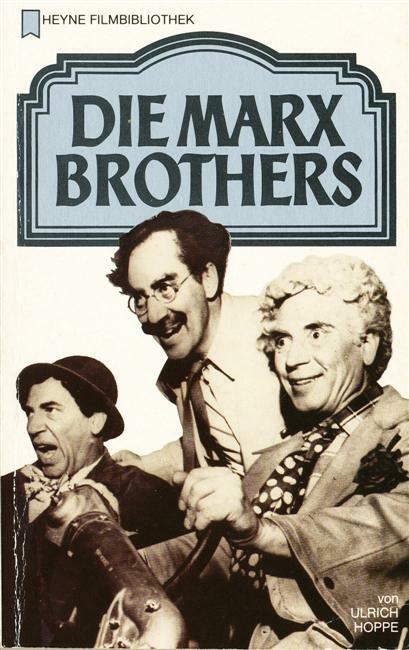 Jahrhunderts werden die Abgründe, Absurditäten und Neurosen einer kapitalistischen Gesellschaft deutlich, die unserer eigenen Zeit in ihrer Schnellebigkeit, Dynamik und Aggressivität sehr nahe ist." 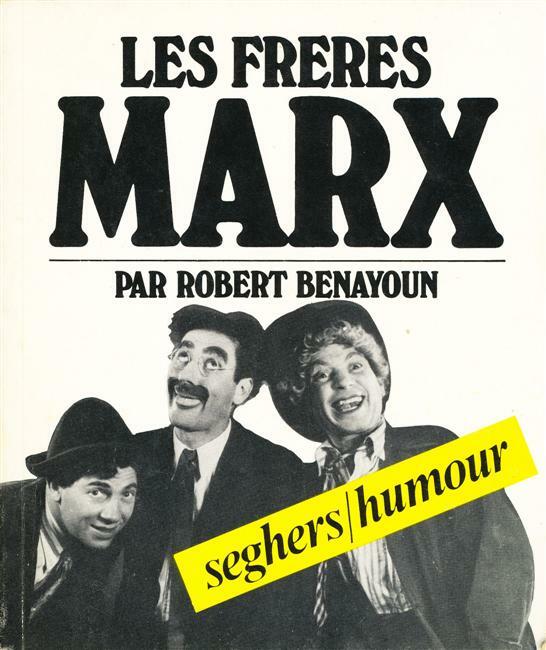 - Joseph Mills: "The Faces of Twentieth Century Comedy"
- Matthew Daube: "The Case of Rabbi Cantor vs. Roscoe W. Chandler: The Marx Brothers' Ethnic Construction of Character"
- Renata Jackson: "Who's Your Dada? 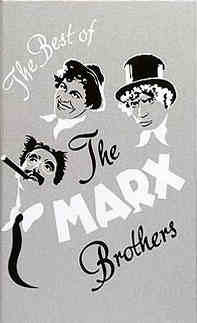 The Marx Brothers at Paramount"
- Dean Wilcox: "Surrealistic Heroes: The Marx Brothers and the European Avant-Garde"
- Thomas Grochowski: "Horse Feathers, Monkey Business, and Lion Taming: The Marxes in Transition"
- Eric Sterling: "The Marx Brothers and the Satire of the Upper Class"
- Matthew Turner: "Signs, Slapstick, and Silence: The Transformation of Semiotic Meaning in the Comedy of Harpo Marx"
- Christopher Kelen: "Nation, Anthem, Irony in the Figure of Rufus Firefly"
- Lance Duerfahrd: "The Extras to the Extraordinary: The Other Characters in the Marx Brothers Film"
- Marc DiPaolo: "'Italians' Know Nothing of Love: The Marx Brothers as Guardian Angels for Young Couples in Jeopardy"
- Joseph Alvarez: "Woody Allen: A Red-Headed Marx Brothers Stepchild?" 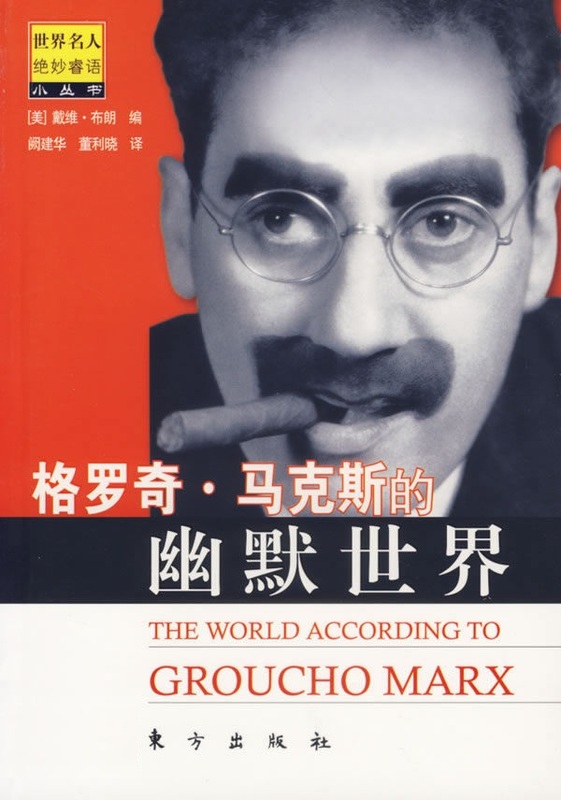 - Zoe Brigley: "The Big Grey Ir-Elephant: The Play of Language in the Marx Brothers' Scripts and in Charles Bernstein's L=A=N=G=U=A=G=E Poetry"
"Dealing with the lives of the merry foursome from cradle to grave, the title translates as 'Groucho & Co's Naughtiest' " TFG. 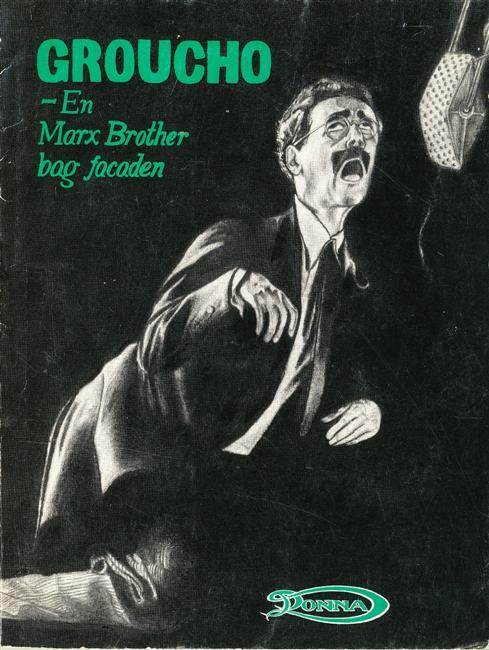 Olson is nowadays better know for his crime fiction which is published under the name Jussi Adler-Olsen. 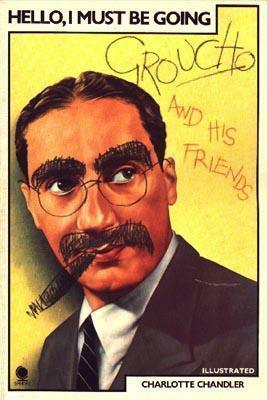 Story of Ballow being the cook in Groucho house in his last years. 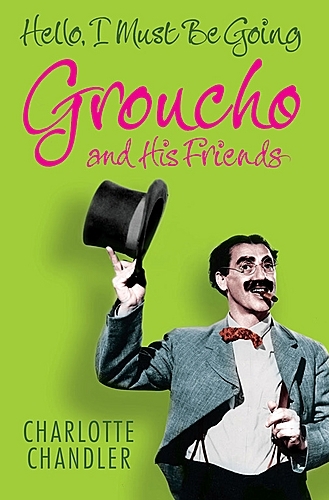 Concentrates mostly on Erin Fleming's behaviour towards Groucho. 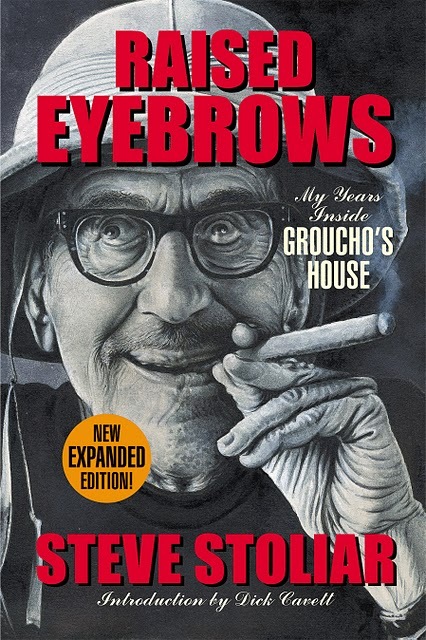 This is a 'paid for' publication (i.e. 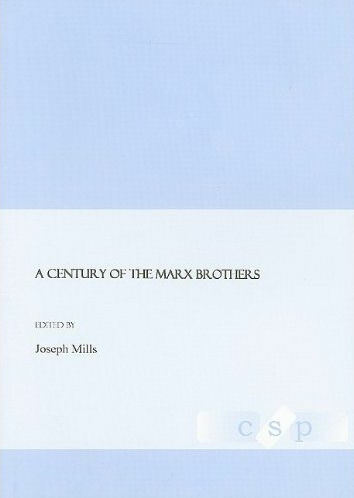 the author paid the publisher for printing this book). 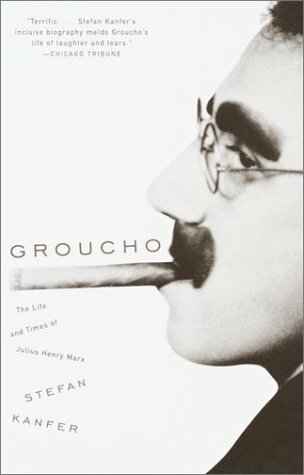 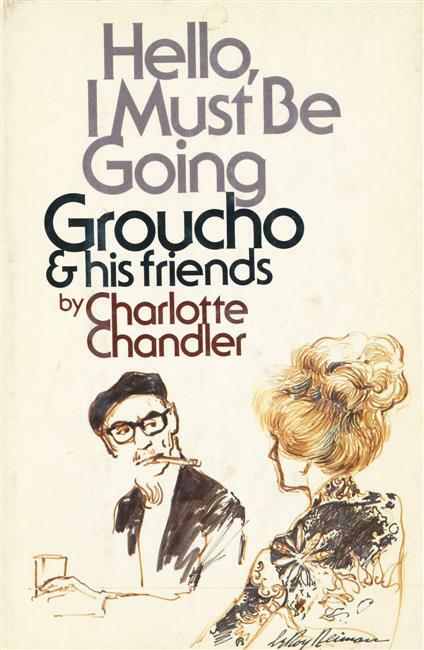 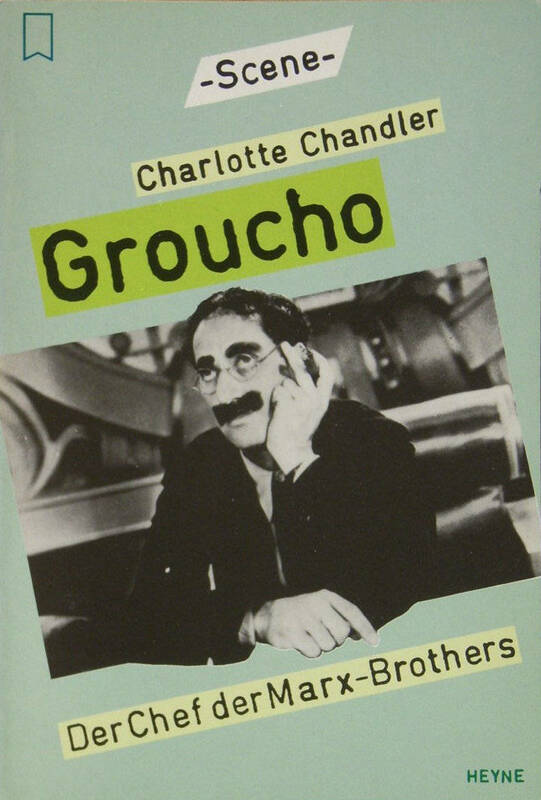 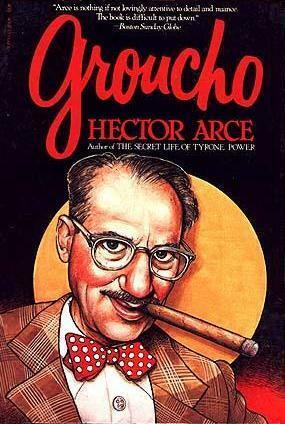 From the publisher's website: "The first critical biography of Groucho Marx to approach his work analytically, this fascinating study draws unique connections between Groucho's comedy and his life, concentrating primarily on the brothers' classic films as a means of understanding and appreciating Julius the man." 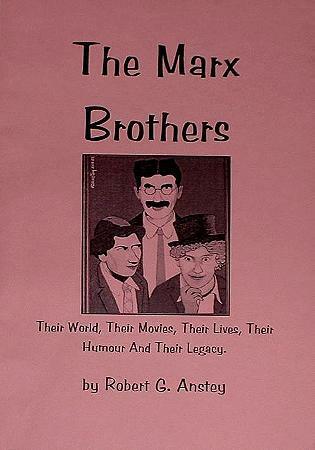 This 8-page A4 booklet has a 4-page article about the Marx Brothers and especially Groucho. 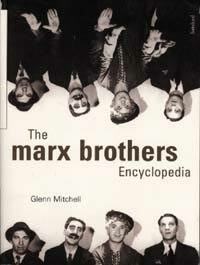 It also looks at their influence on authors of the Beat generation like Kerouac and Ginsberg. 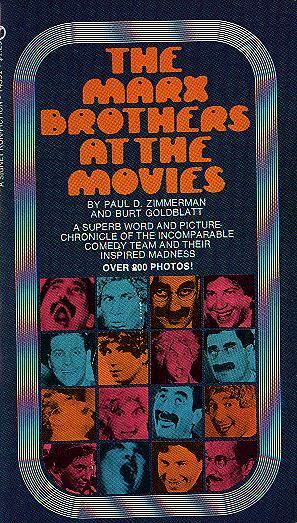 The other four pages a stills from various movies. 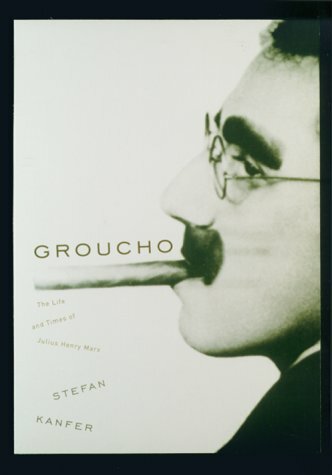 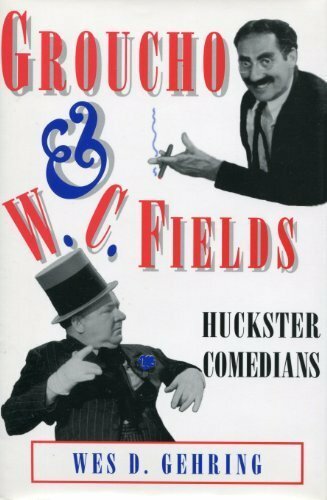 "[The] book combines quotes from Groucho Marx with photographs [...] (both on and off screen)." 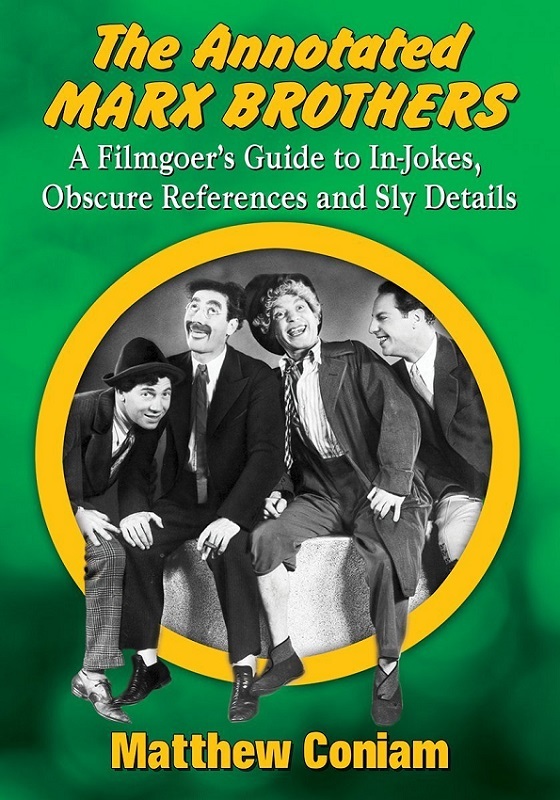 (amazon.co.uk) This book was announced in 2012, but I have heard nothing about it since then. 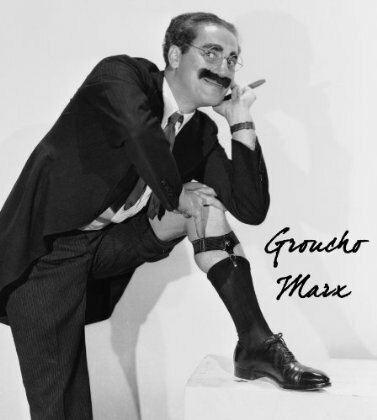 The project has probably been abandoned.